The TayloMade AeroBurner is one of the best fairway woods in the market as it guarantees everything from long distances to maximum forgiveness. Its unique features such as the New Aerodynamic Shape, New Pocket Speed, and a Matrix Speed (RUL-Z 60) shaft are the first things that draw your attention when you get it. When you hold it and make a few swings, you will notice just how light and balanced it feels, and this is enough to convince any golfer that it is a top notch product. However, the club also has a high strength Ni-CO 300 super alloy face with a white matte finish that is hard to miss and an AeroBurner graphic on the crown that helps with the alignment. New Aerodynamic Shape: The new and unique aerodynamic shape that includes a shallow face with a new hosel fin and raised center crown is the highlight of this fairway and what sets it apart from others in the market. New Speed Pocket: The speed pocket on this club is a fantastic addition to its design and one of the things that make it an excellent fairway because it increases the size of the sweet spot while also reducing the spin. Shaft: TaylorMade gives the AeroBurner a new Matrix Speed (RUL-Z 60) shaft that is lighter (60 grams) than what you get from other woods, and it is available in all the standard flexes including X-Stiff. 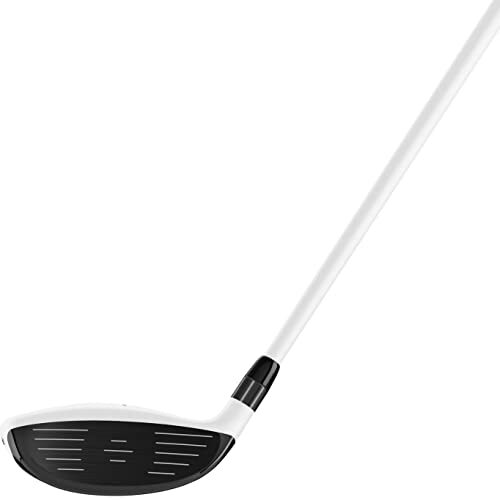 Looks: This club comes with a black PVD face with a white matte finish and with a linear AeroBurner graphic on the crown that will help golfers with alignment. Face Material: The face material is another impressive feature of this club because TaylorMade makes it with a Ni-CO 300 super alloy. The new pocket design increases the sweet spot size. AeroBurner uses a very high strength material for the face. The matte white finish gives it an aesthetic appeal while the crown graphic makes alignment easy. This fairway performs well in a variety of situations including on the sand and tight lies. Off-Center hits do not result in significant loss of distance. 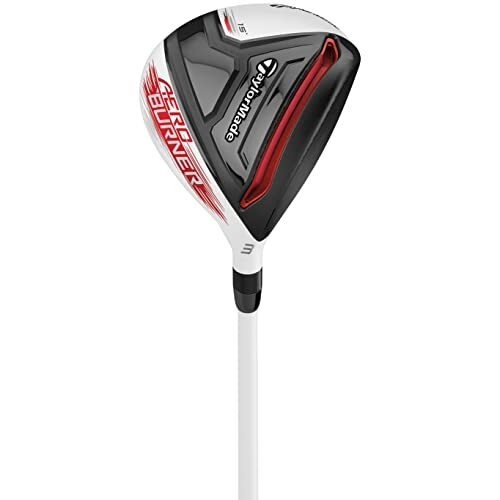 The 60-gram shaft makes it feel very light and comfortable to swing. It comes with a durable graphite shaft that is available in all flexes including X-Stiff. Available for both left and right-hand orientations and it comes with a headcover. The lightweight is a shortcoming for players that prefer a heavier fairway woods so as to feel the shaft and head through the swing. It will not impress golfers that do not like a white-on-white head and shaft. The price tag is quite pricey for a fairway wood. TayloMade makes the AeroBurner with male golfers that have a high handicap and are struggling with their slice. And this is because it offers more distances than others and it is easy to swing. However, the design of this fairway wood and its capability can benefit any golfer regardless of his handicap or playing style. And the best thing or feature about it is that it has a massive sweet spot and it is also very forgiving which means that almost all your shots will always be satisfying. The white-on-white shaft and head design and the matte finish for the head give it an impressive and high-end appearance which is very effective in boosting a golfer’s confidence. AeroBurner also makes a high pitched hollow sound that can also help with confidence-boosting. Although its cost is a little on the upper end it is worth every penny you spend to acquire it.